Jemma looks like all the other students at her private school in London, but she has something different underneath her uniform--wings. Half-human and half-faerie in a world where faeries hide their wings due to prejudice by humans, Jemma does her best to fit in with her classmates. She's lucky to have a best friend, Kate, who accepts her despite the extra appendages, but when Jemma sets her sights on star footballer, Matthew Taylor, she knows something has to give. She dreams of becoming wingless, and when Kate discovers a doctor who can perform the risky operation, Jemma is excited about the chance for a normal existence. 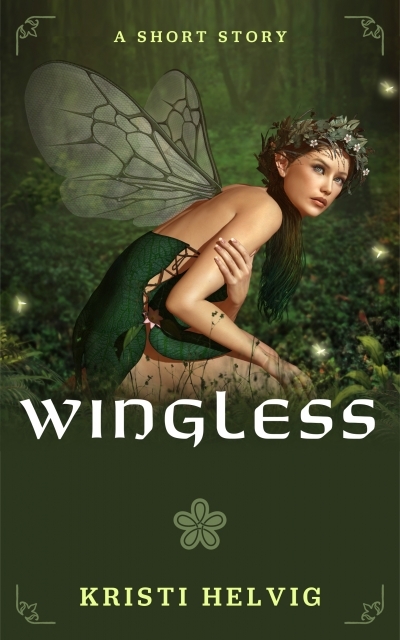 Just as she dares to hope for a brighter, wingless future, a faerie is found murdered in Epping Forest, and Jemma realizes she is running out of time.